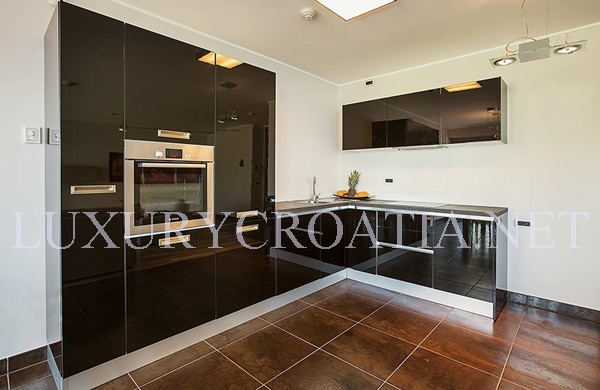 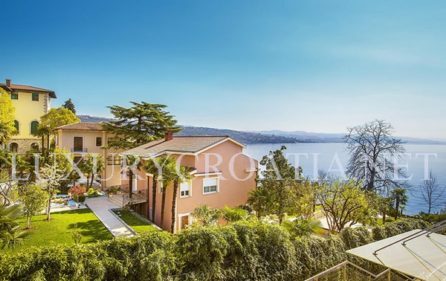 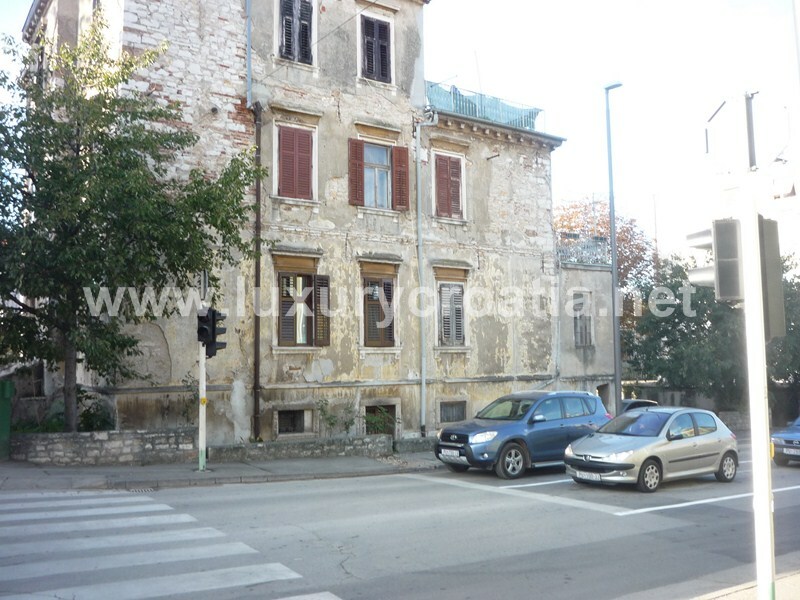 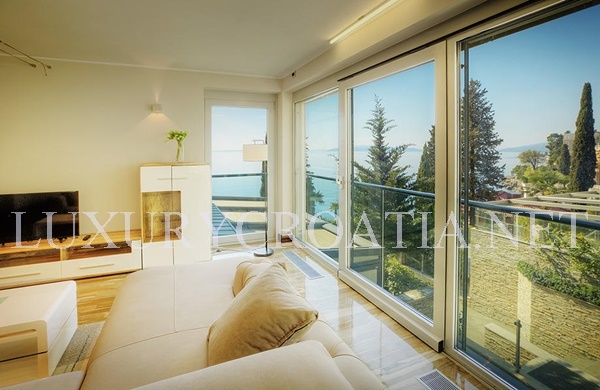 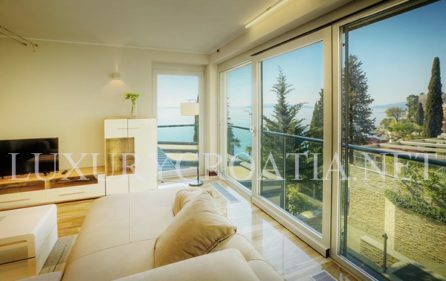 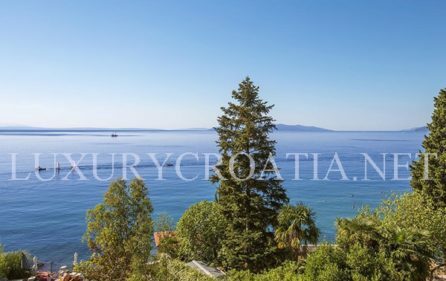 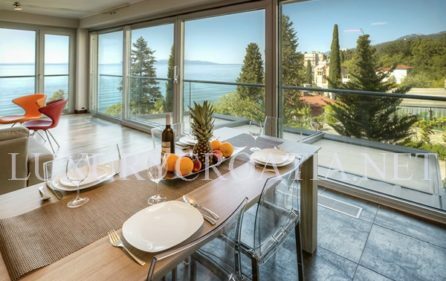 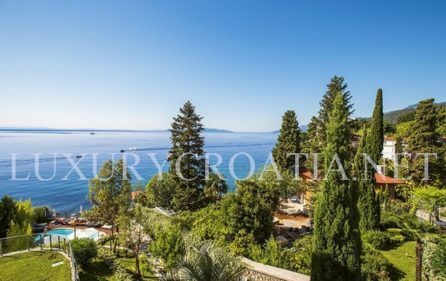 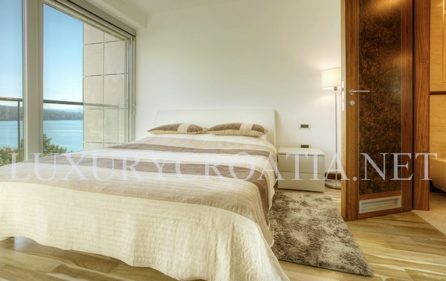 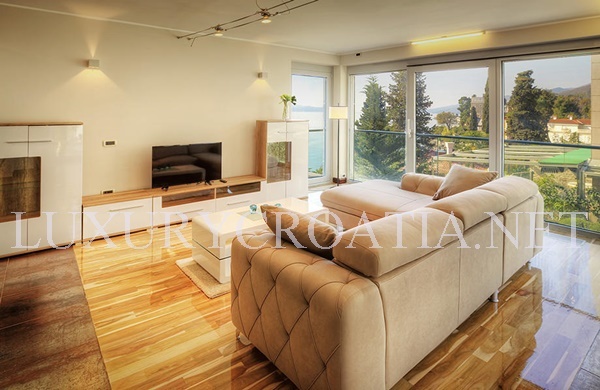 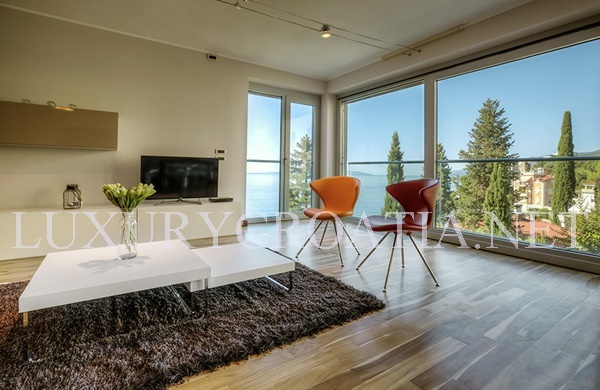 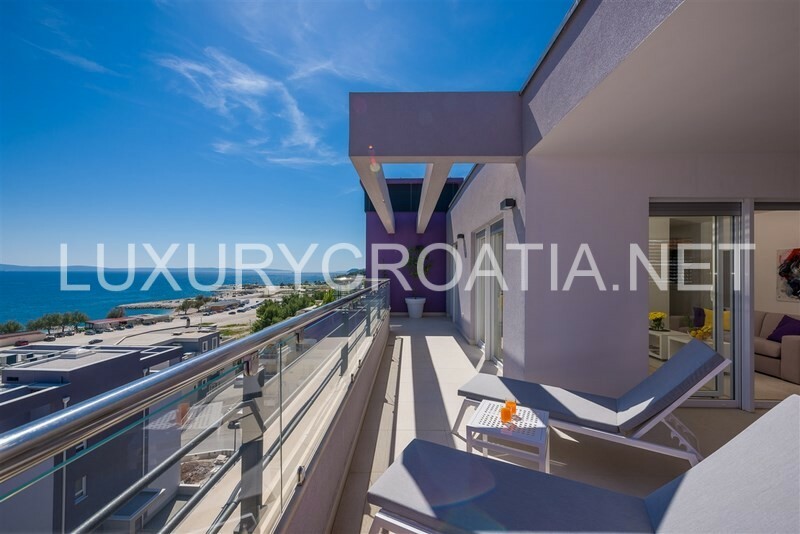 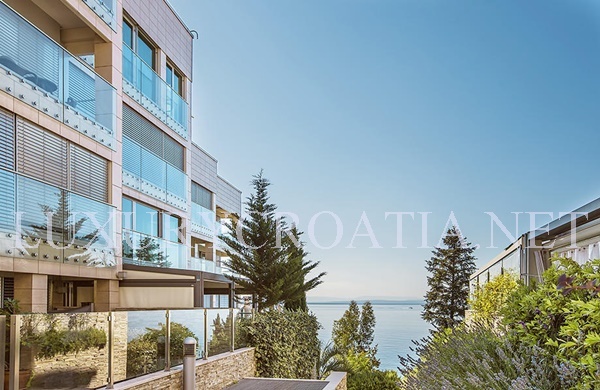 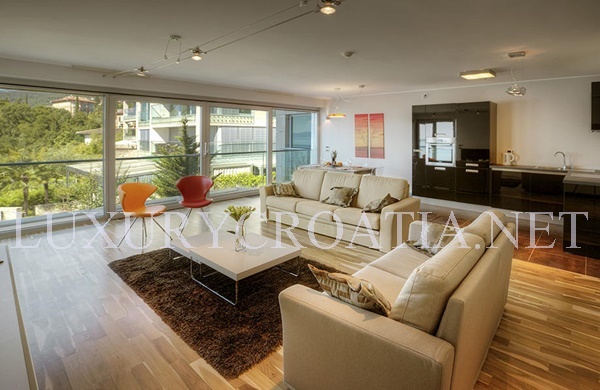 Sea View Apartments for rent near the beach, Opatija, Istria are beautiful luxury apartments located in Opatija city, in lush greenery just a few steps from the beach. Apartment capacity is 4 guests. 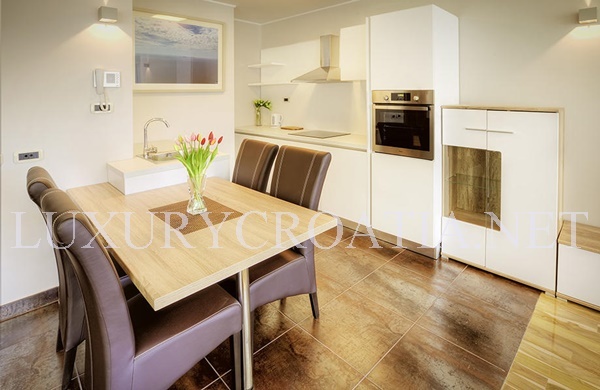 The apartment can accommodate 2 guests in one double bed bedroom and 2 on a sofa bed. Sea View Apartments near the beach are modernly equipped apartments with carefully designed high standard furniture. This apartment consists of a living room with satellite TV, LED TV and air-conditioning, kitchen with dishwasher, fridge, oven, and stove, bathroom features a washing machine and clothing iron. 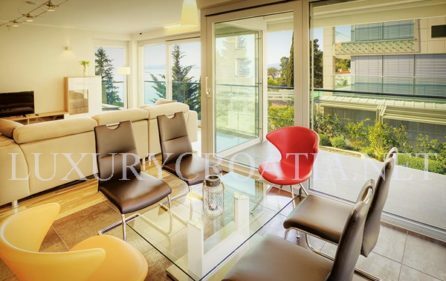 This modern sea view apartments for rent are all covered with Wi-Fi signal. 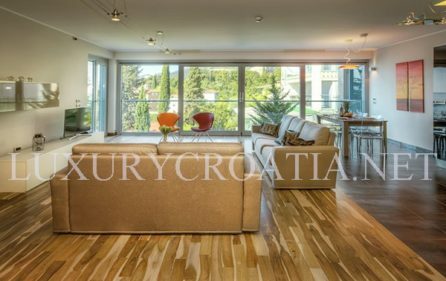 On the outside of the apartment building, there is a shared pool for the apartment guests and a parking place. 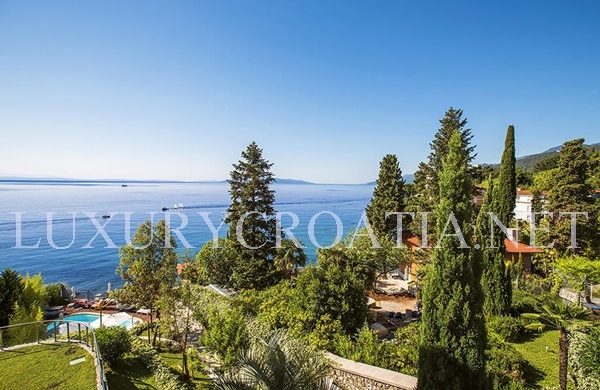 Guests have a shared outdoor swimming pool at disposal. 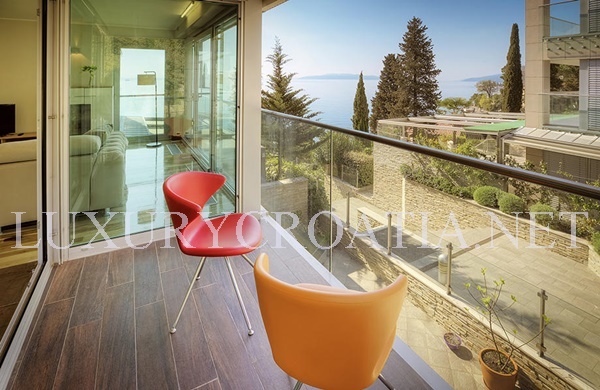 Opatija is located in the Kvarner Bay, some 15 km from Rijeka, Croatia’s third largest city. The center of the Riviera, Opatija is surrounded by numerous small towns and villages, from Volosko to Lovran, connected by a seafront promenade Lungo Mare. Opatija is very easy to reach; this Mediterranean oasis is now closer to Central Europe than ever before thanks to its network of new roads. 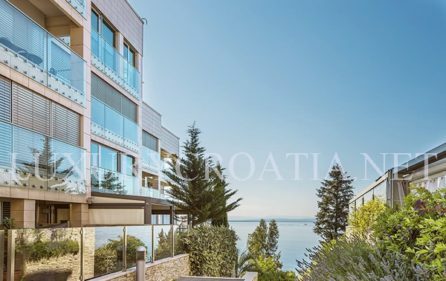 You can, of course, choose other means of transport – a train station, airports, and harbors are easily accessible within a 40-kilometer radius.